CalArts is an animation powerhouse among film schools because Walt Disney himself bequeathed the land to create the school so that future animators would have a professional training ground of their own. Bachelor of Fine Arts degrees are available in Film/Video Production, Experimental Animation, and Character Animation. Other BFA programs include Art, Dance, Music, and Theatre. By the numbers: 31% overall acceptance rate. Acceptance rate to the film program may be lower; check with the admissions department. Test optional, no standardized tests required. Chapman’s film school, Dodge College of Film and Media Arts, offers nine undergraduate majors: BFA degrees in Film Production, Digital Arts, Creative Producing, Screen Acting, Television Writing and Production, and New and Documentary; and BA degrees in Film Studies, Screenwriting, and Public Relations and Advertising. Chapman students enjoy 76,000 square feet of film production facilities including sound stages, a motion capture studio, computer labs designed for pre- and post-production, labs for light and sound engineering, and a 500-seat theatre to screen student productions. By the numbers: 45% acceptance rate into Chapman; 31% overall acceptance rate into Dodge College; 15% acceptance rate into Film Producation major. SAT Mid-ranges: CR 550-640, M 570-660; ACT Mid-range:24-29. DePaul’s LA Quarter offers students a chance to live, study, and intern in Hollywood for ten weeks. By the numbers: 60% overall acceptance rate; SAT Mid-ranges: CR 530-630, M 520-630; ACT Mid-range:23-28. Test-optional admission plan available to all applicants. Film Production students enjoy hands-on, project-centered classes in a conservatory setting featuring state-of-the-art facilities. The School of Film and Photography offers Film Option students the opportunity to engage in film production throughout all four years, beginning with the first year. 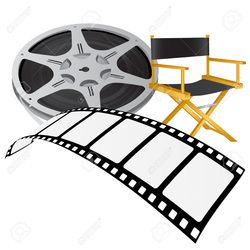 Other notable film production programs are at Boston University (MA), Columbia College Chicago (IL), Emerson College (MA), Loyola Marymount University (CA), New York University, Savannah College of Art & Design (GA), Syracuse University (NY), Tribeca Flashpoint Media Arts Academy (IL), University of Southern California. For one organization’s opinion of the top 25 film production programs in the US, see The Hollywood Reporter’s annual list.